From a citywide food fight that stems from medieval traditions to local food fairs dedicated to a citrus fruit, discover some of the popular festivals around the world that take oranges, lemons (and others!) beyond the table. In Italy, the largest food fight is all about oranges. Taking place during the annual carnival in the small town of Ivrea, Piedmont, hundreds of people get dressed in medieval garb (and protective gear!) for the Battaglia delle Arance. At this carnival that has its traditions tracing back as far as the 16th century, tons of oranges are brought in from southern Italy for rival teams to haul at each other. It is definitely a must-see for anyone who loves a good food fight. 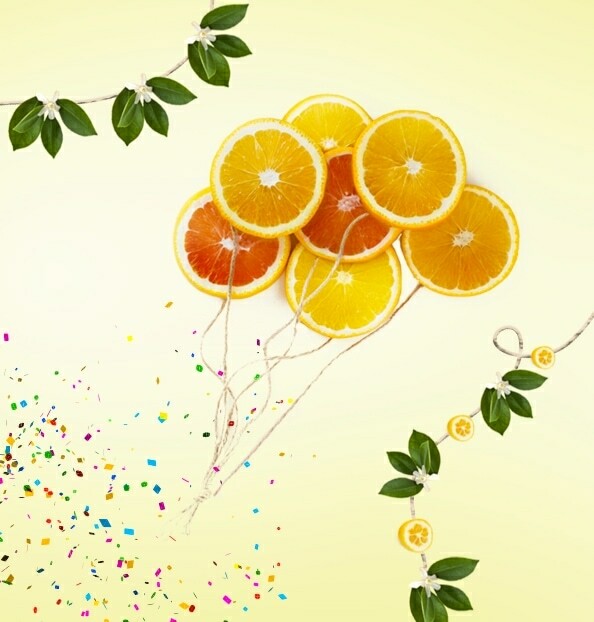 Since 1929, the city of Menton in the French Riviera has been celebrating lemons and oranges at the Fête du Citron. The city is an array of orange and yellow during the annual festivities with the highlight being the procession of floats created with over 140 tons of citrus fruit. A different theme is nominated each year – which means one year you may find a giant Cleopatra (at 2016’s Cinecittà theme), a larger than life Mary Poppins (at 2017’s Broadway theme) or maybe even a lemon-orange covered replication of the Moulin Rouge theatre (at 2009’s theme of Music of the World)! There are many local fairs around the world where citrus fruits are featured. Keep your eyes out at the Christmas markets and local produce fairs over the colder months where citrus fruit are at their peak. Apart from fresh citrus, you may find a vast assortment of dried or candied citrus peels, marmalades, or even spiced citrus compotes that form wonderful bases to create citrus-scented dishes. Check out our Zesty Food recipes for ideas on how to use them in dishes inspired by the street food of Italy!